Blake Shelton Spends Time With Gwen Stefani in Oklahoma, Declares His "Love"
So sweet! 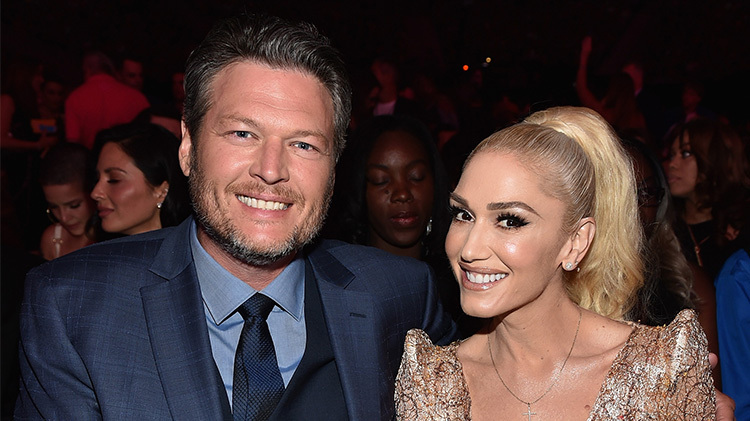 It’s hard to believe that it’s already been nearly three years since Blake Shelton and Gwen Stefani started dating, and it’s nice to know that the couple is still very much in love. Gwen and her sons spent their spring break from school with Blake at his home in Oklahoma and the country crooner took to Instagram on Saturday, April 7 to publicly gush over his girlfriend Gwen and declare his love for her. “Hey [Gwen] it’s official…with your arrowhead finding eye you are now an adopted Okie!!! Side note: I love you pretty girl…” the 41-year-old wrote in the caption of a rather impressive arrowhead collection. It seems like Gwen, 48, is officially an honorary Oklahoma resident, and rightfully so since she’s spent so much time in the state ever since she started dating Blake — and her sons seem to love hanging out at Blake’s ranch in Tishomingo, OK. Gwen shares 11-year-old son Kingston, nine-year-old Zuma, and four-year-old son Apollo with her ex-husband, Bush singer Gavin Rossdale, and it seems like Blake has taken to his new role as a father figure in the boys’ lives — back in November, he opened up about his special bond with Gwen’s kids. “There’s days where you go, ‘Oh my God, when does school start?’ An hour later you’re going, ‘God, I can’t wait ’til they get home,'” Blake told People. “They’re so damn funny. It’s just my first time being around it, and it’s easy to fall in love with those kids. They’re pretty special.” Watch the video below to see Blake and Gwen’s cutest moments together.